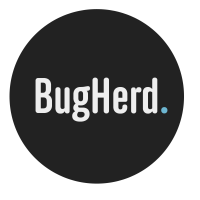 BugHerd can be connected to over 750 different web applications and services via Zapier. Zapier is an online service that acts as an easy-to-implement layer between different web applications to save you the trouble of integrating the services yourself. You'll need to sign up to a Zapier account to get started. BugHerd can also create new issues in a specified project using information sent from another Zapier-connected application. Go to Zapier.com to set up your integrations. All you'll need is your account's API key which can be found in Settings>General Settings for project members with manager privileges. It seems like the screenshots aren't being pulled through very well. I'm wondering if the API is picking them before the screenshots have been generated or something. Either way the bug in bugherd has a screenshot, however it's not appearing in the screenshot field in zapier.